Hope, adventure, expectation. These were the feelings I experienced as a 15-year-old, setting out from Pensacola, Florida on the journey of a lifetime. 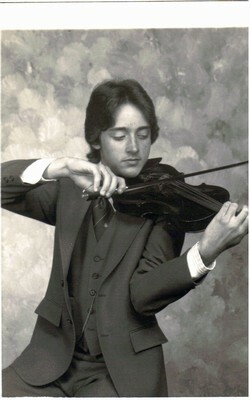 I was traveling to Meadowmount for the first time, and was carrying with me the determination-no, the naive expectation- that my future as a violinist would be somehow secured once the great teachers there heard me and recognized my "great talent". Well, reality came with a vengeance at the first Meadowmount concert. Then 16-year old Kathy Lucktenburg played Mendelssohn, Calin Ciora played Paganini Second Concerto and there was a string Quartet performance unlike anything I had ever heard before. Oops! My conquest of the concert circuit wasn't going to be as easy as I had thought. Practice. MORE practice. Teachers. GREAT teachers. Etudes. MANY etudes. Violin classes. Successes. Failures. Dusting myself off and doing it all again...For eight summers. In the meantime, I developed a deep love of the place and a fascination with the people I encountered there.I eventually got more of a handle on it, and began my teaching career there, assisting Linda Cerone for the last 4 years I spent there. As the years have gone by (30 of them! ), I am amazed at how much of the beauty of the place still affects me, and how much of the work ethic I learned there is preserved in my teaching. Also preserved are many images from that time and place which were then just in the periphery of my awareness. On a recent trip back to Meadowmount, I saw these things again--items from Mr.Galamian's teaching studio-- and they brought so many memories back! They are only "things", but the memories associated with them--- they are like treasure. Of course, these may only mean something to me, but I'll post the pictures anyway. They are interesting things from a time past. Thank you so very much for posting your recollections of someplace I will only imagine and never know. But, I think my teacher, Nell Gotkovsky, knew that place, and so it is nice to see some images she might have seen and imagine what things she learned there and imparted to me. Thank you again for passing on the memories and sharing. You are so right when you say that memories are more important than things. Even so, I enjoyed seeing your photos.